As Austinites, we usually take advantage of SXSW to enjoy major international acts as well as discover lesser-known up-and-comers, but it’s rare that we catch an artist that’s almost a blend of both. Last week a lot of locals saw Heart Bones for the first time, a recent collaboration between Har Mar Superstar‘s Sean Tillmann and A Giant Dog & Sweet Spirit‘s Sabrina Ellis. Their individual reputations precede them and after two years together, they easily channel the chemistry of acts like Sonny & Cher and Sam & Dave while giving you the same electricity heard pulsing throughout the Dirty Dancing soundtrack. In fact, Heart Bones and their six-piece backing band wrapped up 2018 with a national tour of Dirty Dancing, where they teased some of the new singles that KUTX listeners heard Live at the Four Seasons last week. Be on the lookout for more from Heart Bones in 2019 and experience their early morning energy once again with this exclusive live recording of “Little Dancer”! To say the very least, Belfast-born songwriter Naomi Hamilton gets major points for eccentricity. Hamilton’s project Jealous of the Birds still feels fresh five years into the endeavor and her off-kilter style of psychedelic indie rock continues to surprise and entertain listeners (both longstanding and new). Some of the UK’s finest dropped by Austin for SXSW last week so today we’re looking back at London outfit HAELOS. With only two albums under their belt including the upcoming Any Random Kindness, the music of this still-emerging quartet has been described as, “dark euphoria”, with indie, electronic, and prog rock coming together over droning synth pads, pop vocals, and driving rhythms. Last Thursday HAELOS made a pit stop in their international tour for KUTX Live at the Four Seasons and are now back on the road, returning to their hometown in June. Any Random Kindness is out May 10th and to tide you over, here’s one of the more upbeat numbers from HAELOS’ Four Seasons performance (complete with chopped vocal samples), “End of World Party”! It’s become an annual SXSW tradition – the Sunday after the conference, KUTX’s Jody Denberg and Rolling Stone magazine Senior Editor David Fricke host our “SXSW Wrap Up Show” from 10 a.m. – 2 p.m.
Jody and David (who also is a host on satellite radio), share music from some of the artists they most enjoyed during SXSW, Fricke tells stories of his most recent journalistic adventures – and the duo also welcome a guest. This year they were joined by Patty Griffin – the day after her birthday! Griffin (who played guest DJ in third hour) just released her new self-titled album on March 8th. 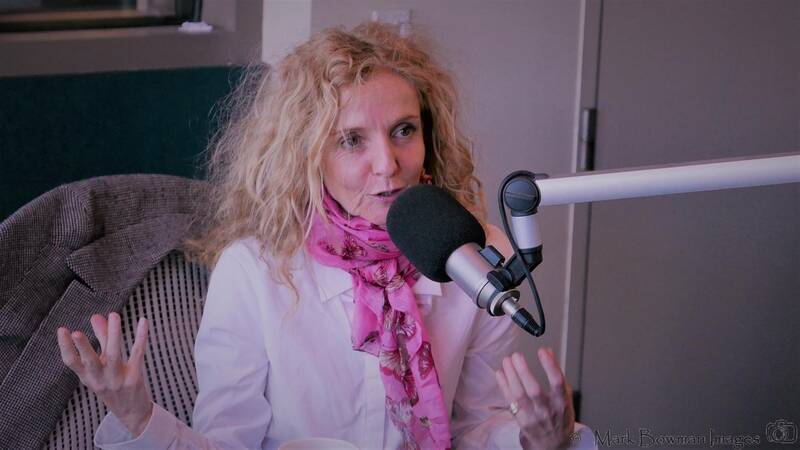 Listen to all four hours of Jody’s SXSW Wrap-Up with Rolling Stone writer David Fricke and Austin music legend Patty Griffin at the bottom of this post!